What is your method to writing a text ad for your search campaigns? I have probably been asked that question more times than I care to answer. And while I don’t claim to be a copywriting genius like the boys on Mad Men, I have learned a few things after writing a couple thousand ads. As with any search campaign the primary goal of a well-written ad is to draw the click, and bring the searcher to your website. And while I am not forgetting about relevancy we aren’t going to address it in this post, but we will in the near future. Here is a quick outline that I use when building new ads for a search campaign. Headline (25 Characters) – Use your brand in the headline with an additional modifier when you have room. For example a headline that might catch the eye of Wile E. Coyote would be “Sale at Acme Anvils.” Many articles have been written and posted on the subject not to use your brand in the headline, but in my experience you will get better performance with inclusion. After writing thousands of text ads and running them in tandem in the same ad groups as A/B tests, the ads with branded headlines have CTR’s 100 to 150 basis points higher than those headlines which are unbranded. Descriptive Line 1 (35 Characters) – This line should be your differentiation statement, or the purpose statement of the ad. Make yourself stand out from the competition with this line. If we continue with our Acme Anvil example from before we might say something like: “Our Anvils Drop Like Nobody Else.” Or if you want to highlight your anvil sale go ahead and include that in your descriptive line 1: “20% Off All Anvils in Stock.” The use of numbers and symbols in the text of the ad attracts a person’s eye and is more likely to draw a click, but don’t go overboard on symbols as your ads will be disapproved. Descriptive Line 2 (35 Characters) – This line is reserved for your call to action, tell the searcher what you expect them to do once they read your ad. A good call to action for our anvil store would be something like: “Shop Our Online Store, Today!” or “Get Iron-Clad Deals Today!” In the past I have also used “Free Shipping” in this line, but with the inclusion of Callout Extensions and Structure Snippet Extensions you will have to examine your own data and find which works best for your ads and the click through rate. Display URL (35 Characters) – This is the fourth and final line of your text ad, which will contain your display URL, or simply put your upper level domain. One trick I will point out here that can help your quality score is to work in a relevant keyword as the subdomain, that is if you have room and if the keyword is contained in your ad group. Please don’t forget that all display URL’s have to be the same for all ads within an ad group. I have spoken with more than one frustrated campaign manager who has ad groups offline because their display URL’s weren’t consistent across all ads. Layout an intelligent strategy for your text ads before you have written the first one, and you will find your ads will get a lot more clicks with more traffic to your website. The strategy laid out above is my method to the madness when I write text ads for my search campaigns. Of course these are not strict, unbreakable rules, thus I bend and break them all the time to suit the strategy of the campaign. As I mentioned above, Callout and Structured Snippet Extensions are valuable pieces of ad real estate that can really serve to enhance the ad that they accompany. Move things around and experiment a bit with the Call to Action and your Callout Extensions, and look for another post to follow this one that addresses what I have found with those extensions. Addendum – please be aware the character limits on text ads will be adjusted in 2016 and 2017. What are the components that make a great display ad? Also called an image ad or a banner ad, a display ad is made up of an image and text, which appears on many websites across the Internet. And while click through rates may be typically be lower than search or text ads, there are several things to think about when building a display ad that is more likely to garner attention, clicks and a higher click through rate. • An Eye-Catching Image – there is a lot of visual competition on the web, therefore to catch the web user’s attention and generate interest the image in your ad will need to be unique and different to be set apart from the rest. Whether it is your logo, a great product photo, or another type of relevant image make sure it grabs the eye and creates interest for your product or brand. In the two display ads below, courtesy of Gabriel Wheeler at Mann Lake Ltd., the bee image is unique, interesting, and fully relevant to the Pro Sweet product. • A Strong Differentiation Statement – And while the image of an ad is important the text in that display ad is just as important to build interest and start creating desire. The best differentiating statements are seven words or less and strongly reinforce your brand or product included in the display ad. 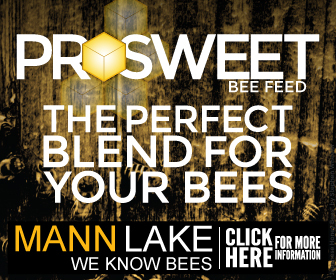 For the Mann Lake ads above and below, the statement is that of the ProSweet brand, and reinforces the message of the image and the logo. • Brand and Product Logos – The strength of display ads is in the branding for either your product or your firm. The numbers of ad impressions are much higher in display campaigns, therefore it is important to include your logo and reinforce your brand in every image. Include logos in your ads, and keep your firm’s name in front of all those eyes and enhance your brand name and message. • One Strong Call to Action – Believe it or not, many people who see display ads on the Internet don’t know that they are linked to a relevant webpage. A strong call to action should drive a person who sees your ad to click, and visit your website. In the Mann Lake Ltd. ad the strong call to action is “Click Here for More Information.” There is no mistake that the user will be taken to the Mann Lake Ltd. website and learn more about ProSweet. One last thing, ensure that your landing page is relevant to the display ad content for two reasons: 1. When a person enters your website from a display ad they want to find relevant information quickly and easily. 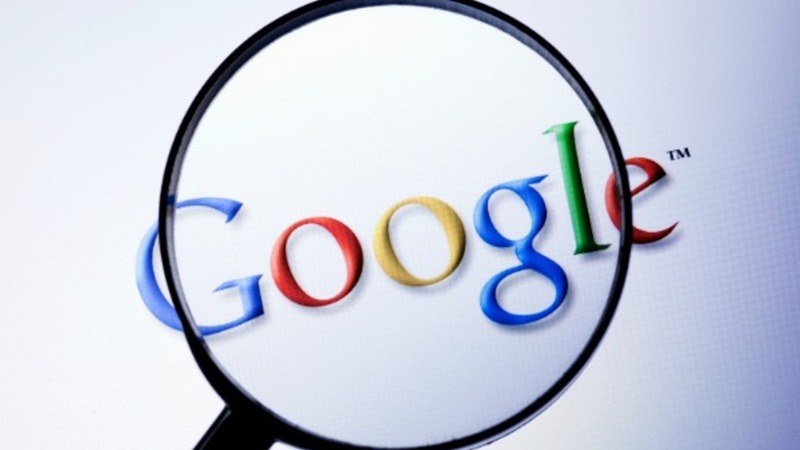 And 2, in Google AdWords the quality score of your display ads are determined by the relevancy of your landing page. The higher the relevancy, the higher the quality score, and the higher the ad rank which increases the likelihood your ad wins more auctions and is served more often. Conclusions – Display ads are powerful marketing tools to get your firm’s message in front of what could be potentially millions of eyes. To create successful display ad campaigns your display ads must be differentiated from the large numbers of ads competing in the same digital space. Using unique and interesting images and logos as well as strong differentiating text and calls to action will generate attention, interest, and drive traffic to your website. In my last pay per click article we talked about using Google AdWords to run video ads on YouTube. In that article, I outlined the methods and the formats in which the ads are served. In this article let’s talk about producing those videos, and what makes people stick around and watch your ads. • Tell Your Story – Your customers and potential customers want to know your unique story, and what makes your success story so different from all the others out there in the online world. Start your video with the most interesting part of the story and hook them in early, then go through a quick chronology of your firm’s highlights, lowlights, and points of learning. • How to Videos – Share your knowledge with your customers, teach them something valuable, and make yourself the expert in the field. When your viewers see you and your firm as the source of all information for the relevant business they will come back to your video channel and website time after time. • Customer Testimonials – You and your company have a loyal group of followers and devotees who we will call advocates. Get these people to give short testimonials in regards to what they love about your company and your people. Have them tell their favorite story that turned them from customer into advocate. We know you think your company is great, now let’s get outsiders to share how much they love your great company. Get your key content in the video early: you have just a few seconds to grab the viewer and convince them to hang on for your entire video ad. You have 15 seconds or less before viewers lose interest, so give them your differentiating statement in the first ten seconds. Make a bold statement, tell them why they want to watch, and grab them with a strong visual image. Include a strong call to action: do you realize that viewers can click on your video ad, and bring traffic to your website? Give your viewers a strong call to action in your video and banner ad to give them a reason to visit your website and convert. Choose your landing page wisely. And please, don’t use your homepage, it is one the Google AdWords and this expert’s no-no’s. YouTube is the second largest search engine going right now, so expand your advertising reach and start running video ads. These video ads don’t have to be of the finest production value to accomplish your advertising mission. Smart phone, tablet, and GoPro videos all speak to viewers as long as the video contains a unique and relevant message. Have fun with it and get advertising with your YouTube video channel. As always, if you have questions on video ads or anything related to Google AdWords don’t hesitate to contact me. Now that your text ads, image ads, and product listing ads (PLA’s) in Google AdWords are bringing in all kinds of revenue, what’s next? Well, how about using YouTube, the second-largest search engine, and start running some video ads? You already have your AdWords account up and running so this will be a natural extension of those ads. Getting started is pretty easy, here are the steps to getting your video ads up and running. • Open yourself a YouTube account. • Get your Google AdWords account up and running if it isn’t already. • Link the YouTube and AdWords accounts. • Upload videos to YouTube. • Create your video campaign in your AdWords account. Where are we going to get these videos and who is going to produce them? Well, you are going to produce and star in your own videos. Your customers and potential customers are anxious to learn more about you and your company, and who better to tell your story than your company’s expert. How-to videos and success stories are a great place to start, the scripts are easy and the content is all right there for you. Of course if you have a budget to spend there are a lot of great video companies willing to help you out. • In Search– Just like it sounds, your ads will appear on a search results page in YouTube, or on a Google Search results page for videos. Searchers will see the headline you write and the thumbnail you choose, so make it a good one. • In Display – These ads appear when someone is watching a video with similar content to yours based on keywords. Your ad will position next to other videos on YouTube or on websites in the Google Display Network. • In Stream – These ads are most similar to a television style ad that will appear before or during another video from a YouTube partner. Watchers have the option to watch your video in its entirety or opt out after five seconds. High production videos will work best to keep the viewers interest during the In Stream ad option. Video ads in YouTube are a great way to expand the reach of brand and increase your return on ad dollars. At the present time there is a large amount of under utilized ad space on YouTube ready for advertisers to step up and use that time. Additionally, the viewers you will reach with these video ads want to engage with your company and are interested in your message. Take a look at YouTube video ads, there is an audience out there waiting. When Internet surfing is your vocation, such as your’s truly, you inevitably bound to see a lot of online ads, both good and bad. So when the really good ones come along you are prone to remember them, and maybe even visit their website to get a feel for the business. The advertisers below have caught my eye over the last year, and I would like to single them out for some really nice work. Kohler Co. – Kohler, WI – Take a look at the search results page for the keyword “Kohler” or any variety of kitchen and bath terms, and you will see that Kohler Co. dominates both the paid and organic search results. 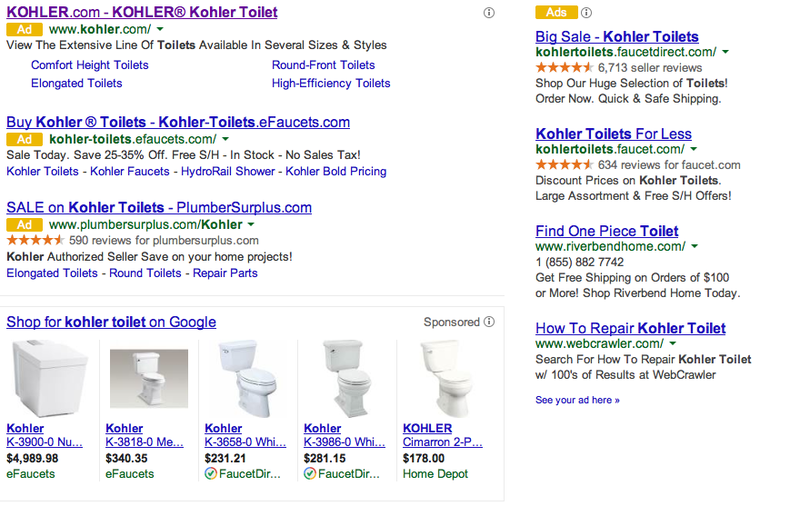 And for many of their keywords they also have a nice showing in the Product Listing Ads (PLAs) On a side note: Kohler knows the value of bidding on their brand name. http://ow.ly/sGOrQ and have for a long time. B & H Photo Video Pro Audio – New York, NY – Spending most of my days on the internet as I do I am followed around by a number of remarketing ads, including many that I have created. 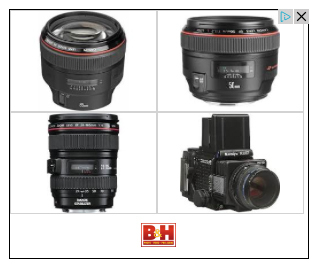 However, the remarketing ads that really impress me are the ones following me from B & H Photo. Not only did the banner ad appear at the top of the page, but the products in the ad were all ones that I had looked at on their website. Since then I have been followed around by a couple different ad sizes, (the 300 by 250 is attached above) most which contain camera lenses I had viewed. What a great way to stay in front of the customer during the sales cycle. Fanatics Inc. – Jacksonville, FL – There are many online advertisers using Product Listing Ads (PLAs) and doing them right. So in an Olympic year I thought I would search and shop for some USA related gear. Fanatics has some good looking product ads with the “Special Offer” just below the text of the ad. Click on the link and the terms of the special offer will be revealed. A promotions feed is great way to increase the footprint of the ad, the click through rate, and the conversion rate. Additionally, I would like to give a quick honorable mention to Coldsmoke Co. from Venice, CA for their great remarketing ads. While the ad placements are all of the standard nature the images, especially in the three-frames animated form, are just outstanding. No big, screaming call to action just great photos, great products, and a logo. Minimalist online advertising at its best. So there you go, a few advertisers who through Google AdWords, or another online advertising platform have caught my eye. If you have any questions about online paid advertising, or anything in the pay per click world, please feel free to contact me at the email address below. That’s great you have got a pay per click campaign up and running, but now we should be analyzing the results and begin to optimize. The first step of optimizing in this case is going to be to back up a step and define the goals of our pay per click campaign. • Ecommerce Conversions – our pay per click campaign is driving traffic to our ecommerce website with the primary goal to make sales. The primary metrics we look at in relation to our goals are conversions, cost per conversion, and return on investment or return on ad spend. • Events as conversions/phone calls/mobile click to call – our website is not an ecommerce website, but we want traffic coming in, and our stated goal is for them to leave their email address. We are closely watching clicks and time spent on site. We have also made filling out the contact form an event in Google Analytics and imported that event into AdWords as a conversion. We are also tracking phone calls and any mobile clicks to call from our ads as secondary goals. • Branding – the primary goal of our AdWords campaign is to create and increase awareness for our brand. We have set up several display campaigns, one with targeted placements, and a second campaign to function as a remarketing campaign. We are using impressions as our key indicator, with clicks and list size as secondary indicators. Once your goals have been identified and established it becomes relatively clear how the campaigns will be built and the key metrics you will follow to fully optimize your bids, keywords, and ads. You may also find that you have primary goals for the campaign accompanied by secondary goals. There is nothing wrong with that, however it is important to identify which goals will be uppermost so as you don’t get bogged down by analyzing irrelevant, secondary data and results. Well, what could be some of the reasons your ads aren’t showing based on one individual search? • Location Targeting – You may have set your ads to show in a specific geographical location and your IP address is outside of the selected location. Use the “Ad Preview and Diagnosis Tool” under the “Tools and Analysis” tab to see what your ads will look like in a live search result. • Irrelevant impression protection – If you repeatedly search your keywords, trigger ads, but never click on them, Google will record your IP address and stop serving you ads. When you see ads on a regular basis, but don’t click on them Google believes you are not interested and will stop showing them to your IP address. • Budget – You have set a daily budget amount in your campaign(s) and you may have exhausted your budget for the day. Additionally, if your ads are set to show on a standard delivery basis, they will be delivered steadily over the course of the day. With a low campaign budget Google will stretch out ad impressions over the day and therefore each search may not trigger an ad. Use the Auction Insights report to measure how many times your ad is appearing vs. how many times it is eligible to appear. This report is the Impression Share report and it could justify an increase in budget, which could bring more ad impressions. • Credit card has expired or been maxed out – The credit card you have assigned to the account may have reached its expiration date or exceeded its credit limit. It is always good idea to keep a second or back-up source of credit in the billing profile for just such an event. To add a second payment method locate your “Billing Settings” under the “Billing” tab in your account. • Auction Insights Report – This report contains the Impression Share metric that gives you the number of impressions your ads received divided by the number of impressions you were eligible to receive. You will also get impression share numbers of competitors who are eligible in the same auctions. Other valuable data includes overlap rate, position above rate, and top of page rate. Cyber Monday is just around the corner. The day after Thanksgiving traditionally kicks off the holiday shopping season in the brick and mortar stores, in what has come to be known as Black Friday. However, for online ecommerce retailers the biggest day of the shopping season is the Monday following turkey day, or Cyber Monday. Here are three things to think about to get your online shopping carts oiled up and ready to roll down the virtual aisles. • Review last year’s best keywords – Click on keywords, set your timeline for 2011 between black Friday and the new year of 2012, and sort by conversions. The highest revenue producing keywords from last year’s holiday season will rise to the top. Think about increasing those bids to get your ads in one of the first three positions. That’s where your click through and conversion rates will be the highest. • Confirm your conversion tracking is working correctly – Conversions are to ecommerce as a full cash register is to a store in the mall. Head over to your website’s thank you page and confirm that the code snippet is installed. Let your website designer know if anything seems out of the ordinary. As of October 1st Google offers a tag manager, which is a much easier and more flexible way to code and track your website. • Create a strong call to action – Review the best ads from last year. Which ads had the best click through rate? Which ads had the best conversion rate? Do they all have a strong call to action? Use those phrases, which describe your online store’s best prices, holiday sales, and one of a kind items. Phrases like “on sale now,” “limited time offer,” and “big holiday sale,” all convey a sense of urgency to act today. If history is any indication, there are some big online retailing Mondays coming our way. Be ready to increase your pay per click budgets, and insure your campaigns are hitting on all cylinders. A well executed Google Adwords campaign will increase revenue for your firm, and can do it at a very high return on your advertising spend. One last thing: think about a remarketing campaign for customers who abandon their shopping carts. They are interested and maybe just need a gentle nudge.